Ekinçik lies in a cove with several anchorages and a restaurant quay. 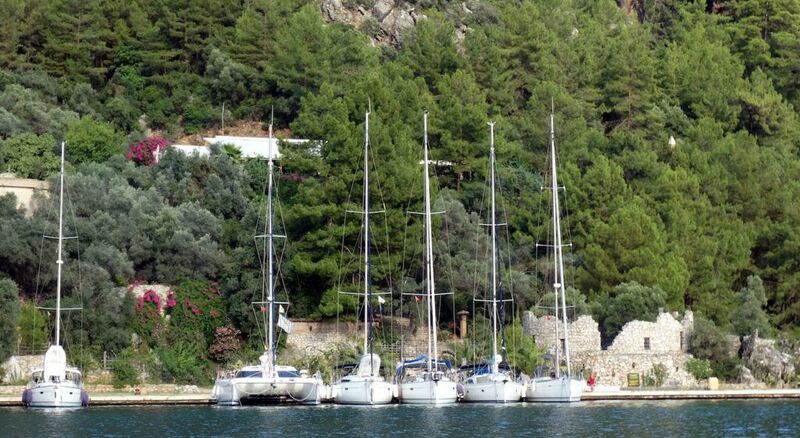 It is one of the most idyllic anchorages along The Turquoise Coast. The village ambles along and above the beach. It is a protected area for Loggerhead turtles, with a stretch of golden sand perfect for egg-laying. It is also the most convenient place to stay for a paid day-boat excursion or dingy visit to the nearby river delta of Köycegiz Çay. 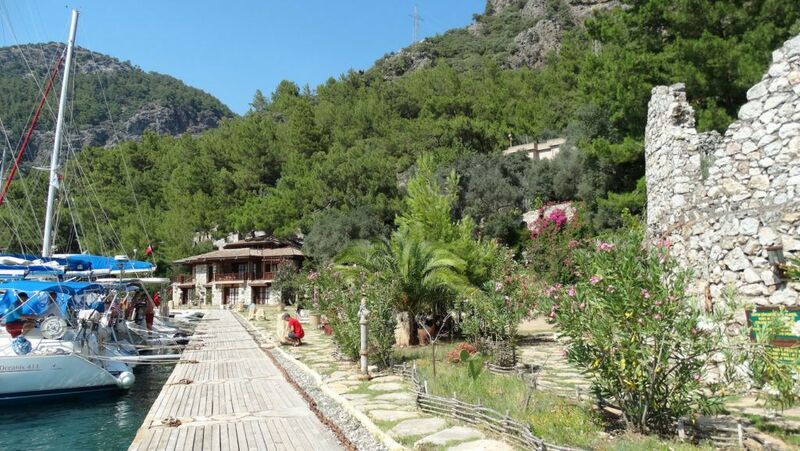 Up river is found ancient ruins, the picturesque village of Dalyan, and the green Köycegiz Golü lake which has a hot spring spa on its west side. On the eastern end of the beach, at Maden Iskelesi, submarine caves provide good snorkeling. For anchoring, the SW cove is usually the least crowded. Anchoring requires a very long line to a tree. The NE cove is the most crowded but affords good protection from the Meltemi. Depths are 8-15m. The bottom is sand, with good holding. During the day there is continuous traffic of day-trip boats. In the E cove, My Marina has an attractive quay with laid moorings, water/electricity and space for 20 yachts. Depth range from >3m to 1.5-2.5m along the wall. Have a long line at the bow ready on arrival for the assisting rib to take it through the mooring line and pass it back. If moored here, there is a expectation to dine in the restaurant. The restaurant is attractive and with very good food.